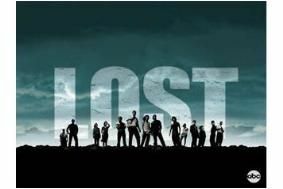 Final episode of Lost draws more than 600,000 UK viewers | What Hi-Fi? In the US, 13m people watched the final episode, The End, which was simulcast on Sky1 here in the UK. In the past month Lost, which normally airs on Sky1 at 9pm on Friday, has attracted between 500,000 and 575,000 viewers when the live audience and same-day timeshifted viewing are combined. The US viewing figure for The End was the show's highest rating for two years. Sky experienced some technical difficluties with the simulcast from the US: on Sky1 the transmission cut out for the first few seconds, and on Sky's video-on-demand service, Sky Player, the live stream went down just before 6am.